We’re grateful to those who give the LFC a boost with a little buzz! Imagine, in the 1950s, there were nearly a dozen independent movie theaters downtown with names like the Crown, Rialto and State. According to local historian John Quealey, others included the Capital, Strand, Keith and Palace. All such majestic names. 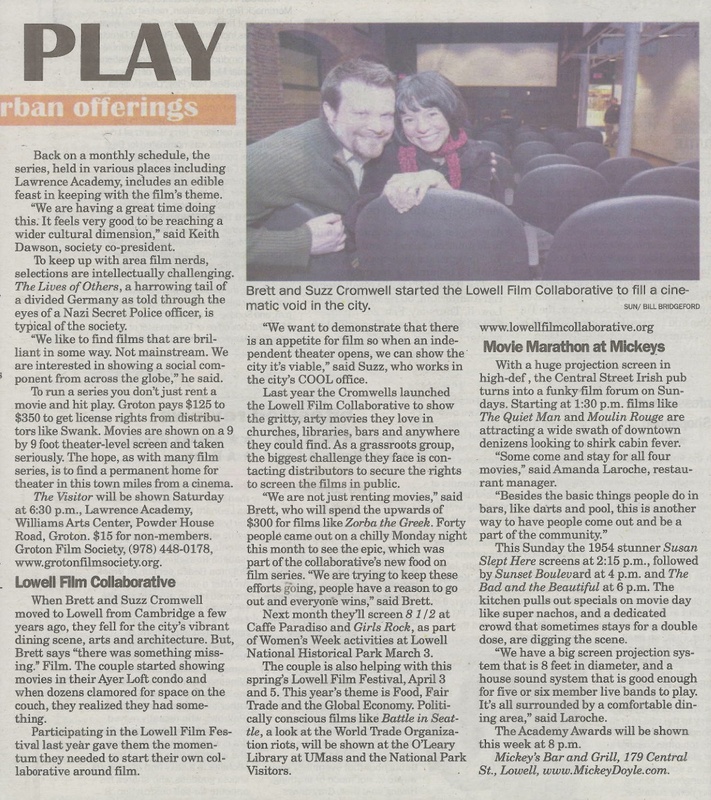 Now, a group of movie-loving Lowellians with downtown connections has been meeting quietly ….